Its administrators Duff & Phelps said that the 88-year-old chain had “no alternative but to put the group into administration and protect it for all creditors”. If a buyer for the business cannot be found, it will be the biggest High Street collapse since Woolworths, which first announced it was going into administration in 2008. It has been reported that Duff & Phelps have had more than 30 expressions of interest in buying the group already. 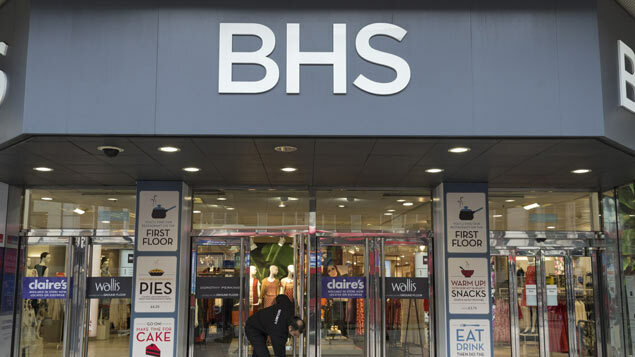 BHS owner Dominic Chappell, who led the consortium to buy BHS from retail entrepreneur Sir Philip Green for just £1 last year, said that staff’s wages this month would be paid by the administrators. When Woolworths and fellow retailer Ethel Austin entered administration in 2008, they failed to carry out collective consultation with all employees, and hundreds of former employees brought claims for lack of consultation. The tribunal made a number of protective awards, but only in respect of those employees who worked in stores employing 20 or more staff. However, an appeal tribunal then held that UK law was not compliant with the Collective Redundancies Directive, and that the obligation to consult on collective redundancies arises whenever there are 20 or more redundancies anywhere in an employer’s business. This was then referred to the European Court of Justice to determine the proper meaning of “establishment” under the Directive, and it concluded that dismissals effected in each establishment are required to be considered separately, rather than across the business. The case was then returned to the UK Court of Appeal to determine whether or not the tribunals in the Woolworths case were correct in their view that separate stores should be considered as separate establishments. Personnel Today understands the case has now been settled in line with the ECJ judgment. Jo Davis, partner at BP Collins, said that the first step BHS would need to take would be to inform the Government of its intentions to make staff redundant and fill in the HR1 form. As collective consultation law stands, shops with more than 20 people will require a 30-day consultation period; those with more than 100 staff will get 45 days. “It will depend shop-by-shop on the level of consultation required. BHS should try to act fairly, and consult with staff as far as possible while still in administration. Employees are not as protected if the company goes into liquidation,” said Davis. It had been hoped a last-minute rescue deal by Sports Direct would save the company from announcing that it was going into administration, but talks fell through. The company will continue to trade as the administrators attempt to sell it as a going concern.